Mark Webber is expecting his replacement at Red Bull, Daniel Ricciardo, to give Sebastian Vettel a hard time in qualifying this year. Ricciardo joined the team from Toro Rosso over the winter after Webber decided to quit Formula One for sportscars. 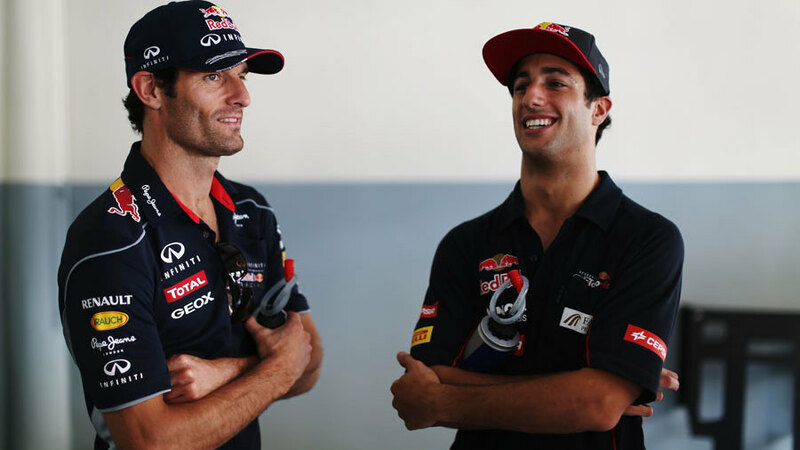 Webber only beat Vettel in qualifying on two occasions in their final year as team-mates, but he believes Ricciardo has the ability to equal the four-time champion over the course of the season. "He'll go well," Webber said in an interview for the March issue of Motor Sport magazine. "I think he'll give Seb a real hard time in qualifying - it'll be 50:50 in the first year, I reckon. "I took a few off Seb last year - and the blown floor is gone now. I think Daniel will be fine, and it certainly won't hurt him that he's come through the Red Bull system. I just hope he gets better starts than I did!" Webber made clear that he holds Vettel's driving ability in high regard, but believes Ferrari's Fernando Alonso is still the best racer in F1. "I always thought Fernando was the best, and I still do - on Sundays. On one lap, though, I think Seb's got him covered - and I'm talking in terms of preparation, not just pace. Fernando's had a lot of poles in his time, but probably age has come into it - you lose a little bit. In the race, though, he's got more strings to his bow than anyone else, and he's relentless. "Seb's strengths, as we know, are escaping at the start, and running in clean air - when you get these things in clean air now, it's a whole other story, in terms of tyres and so on. He's like a computer, isn't he? His only weakness was always fast corners."